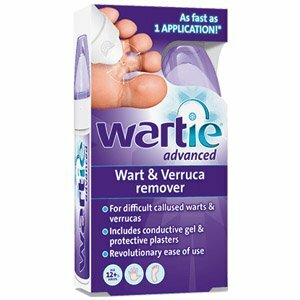 Wartie® Advanced is an easy to use ‘freeze’ treatment for stubborn, mature callused warts & plantar warts (verrucas), similar to the cryotherapy method used by doctors. Warts are small growths of the skin caused by the human papilloma virus (HPV). Warts often develop on the fingers, or on the back of the hands, knees and elbows. You can recognise the common wart by the rough ‘cauliflower-like’ appearance of the surface. The wart virus, which is very contagious, can be transmitted from person to person or from one body location to another by direct contact with an infected area. Plantar warts (verrucas) are similar to warts but occur only on the sole of the foot or underneath the toes. Generally painful, they often look like a small white ring of skin with black dots in the centre. They are also contagious and can be transmitted to another person by contact with a wet surface such as a floor. 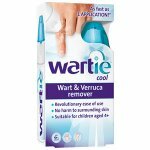 Wartie® Advanced precisely freezes the wart or plantar wart to the core, due to its unique precision tip.The conductive gel increases the freezing performance by directing the cold temperature onto the application area, thereby moisturising the skin for highly effective freezing. Wartie® Advanced has outstanding freezing performance. The conductive gel increases the freezing potential for treatment of mature, stubborn warts and plantar warts. Remove the cap. Place the can upright on a table and hold the collar. Put the cap back aligning the freeze icon. Press cap down for 3 seconds. (DO NOT EXCEED 3 SECONDS). You will now hear the activation sound. Precisely apply the frozen metal tip on the wart. Wart (hand) for 20 seconds. Wart (foot) 40 seconds. TIP: In case of particularly sensitive skin (i.e. if you experience difficulties walking after treatment), a foam plaster can be used to protect the tender verruca area after treatment has been completed. Carefully remove the foam plaster from its backing. Apply adhesive side of foam plaster to skin with hole directly over the small tender spot. Do not use on children under the age of 12. It is uncertain how Wartie® Advanced may affect the child’s skin. In case one or more of the above mentioned conditions are not fulfilled, the device may not be functioning properly. Failure of the device may lead to injury or insufficient/incomplete treatment. anywhere in, on or near your face, eyes, nose, mouth, ears, armpits, breasts, bottom or genital area. on birthmarks, moles, warts with hairs growing from them, or any other spots. on areas where your skin is sensitive, inflamed, damaged, cut, grazed, diseased or itchy. if you cannot clearly see the wart you are treating. if you are diabetic or suffer from poor circulation. 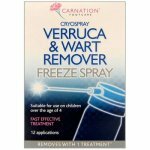 together with any other method of wart removal because it is uncertain how the combination may aff ect your skin. 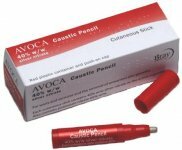 Combination usage may result in serious burns and permanent scarring of the skin. Do not use the conductive gel if you are sensitive to one or more of the ingredients. The metal tip is coated with nickel, which may cause an allergic reaction in some individuals. If you are not sure about the condition of the unwanted wart or plantar wart, consult your general practitioner. 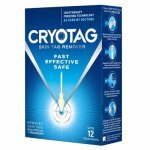 Careless use can cause freezing too deeply, causing permanent damage to the uppermost layer of the skin on fingers and toes. This may result in permanent scarring or nerve damage. If you mistakenly apply Wartie® Advanced on conditions that are not warts, it may cause serious burns and permanent scarring of the skin. Keep out of reach of children. Aerosol may burst if heated. Extremely Flammable. Do not pierce or burn, even after use. Keep away from heat/sparks/open flames/hot surfaces - no smoking. Do not expose to an open flame or other ignition source. Do not expose to temperatures exceeding 50˚C. Protect from sunlight. Avoid Contact with Eyes. Contact with eyes may cause blindness. 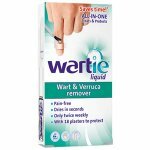 Do not rub or touch eyes with hands if Wartie® Advanced has been applied to them. If product gets into the eyes, flush with water for 15 minutes and seek medical help immediately. Do not Swallow or Inhale the product. For External Use Only. Content is toxic and may cause serious internal damage. If swallowed, inhaled or sprayed on body parts other than warts, seek medical help or contact a Poison Information Centre right away. Do not apply the foam plaster and/or gel to open, infected, or unclean wound sites. Protective foam plasters supplied are for single use only. Dispose of them after use and do not re-use. Dimethyl Ether, Water, Propylene Glycol, Phenoxyethanol, Carbomer, Triethanolamine, Caprylhydroxamic Acid, Methylpropanediol.